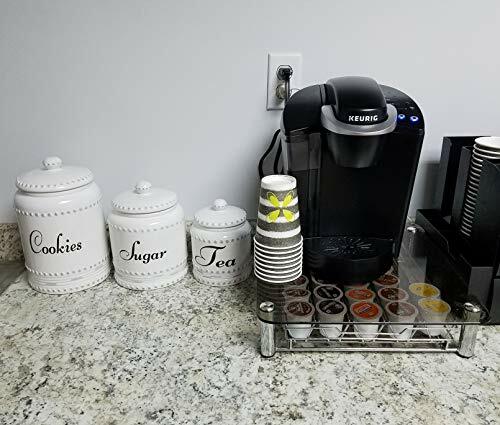 With so many organizational products available for your kitchen, it can be hard to choose which ones are the best option for you. Most organizational products are so plain and boring, why even bother adding them to the room? 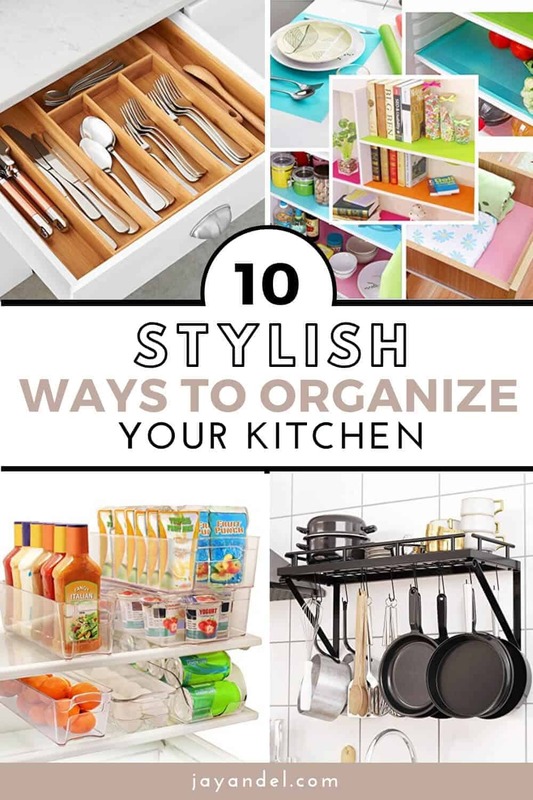 Instead, choose these stylish ways to organize your kitchen and make those organizational products work as decorative items, too! 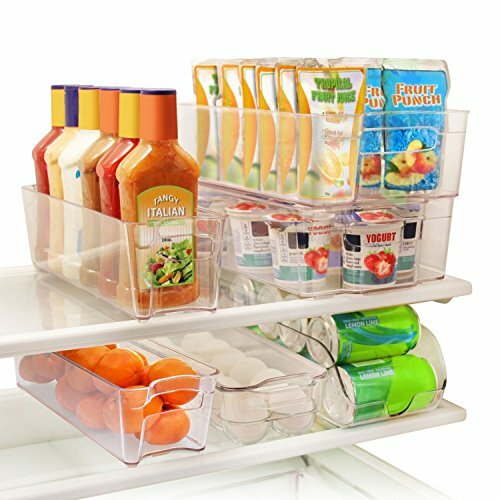 Keep the food and drinks in your fridge organized in style with these lovely clear refrigerator storage bins . These handy bins will keep everything in its place, making your fridge look amazing! 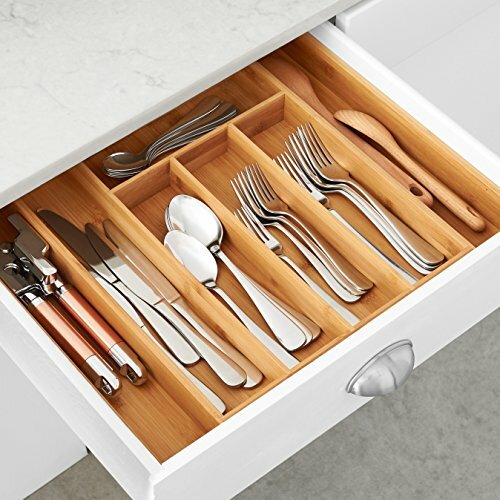 Keep your flatware or other utensils organized inside your drawer with a beautiful bamboo drawer organizer . Then, the inside of your drawers will look as stylish as the rest of your kitchen. 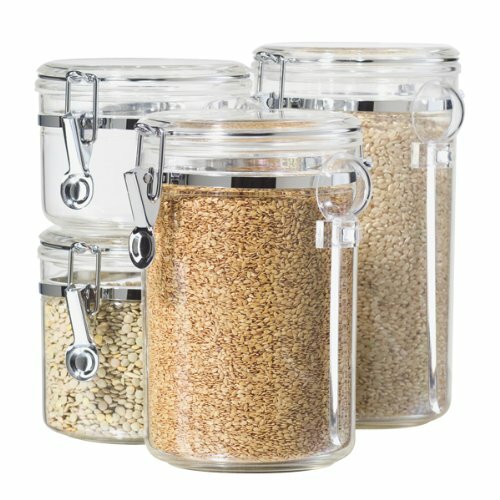 Dress up your dry goods by storing them in a set of clear airtight canisters . Whether you store your baking essentials or favorite snacks inside these lovely jars, your food will look beautiful inside your pantry. 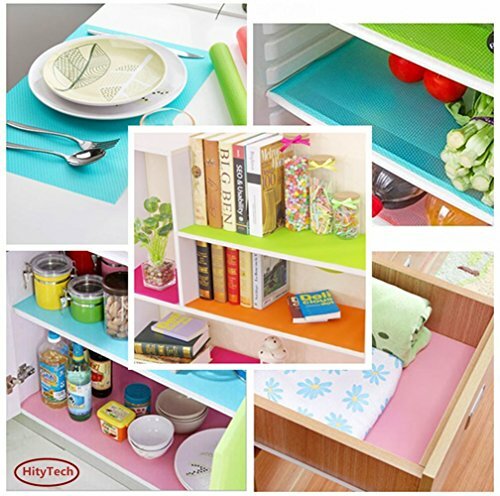 Add a pop of color to your refrigerator by placing these colorful refrigerator mats on your shelves and inside the drawers. These mats will not only make the inside of your fridge look great, but they will also make it easier to clean up messes inside your refrigerator. 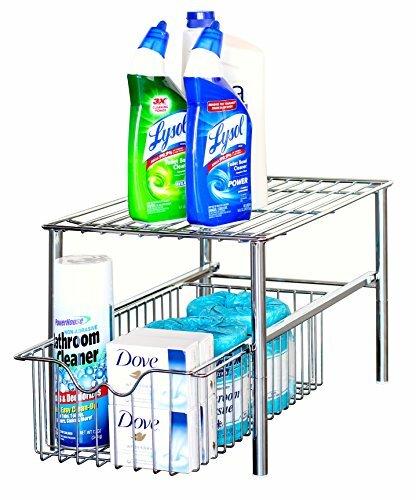 Add some industrial style under your sink with a set of metal shelves with pull-out drawers to keep all your cleaning supplies organized. The sleek metal style of these handy shelves will make the inside of your kitchen cabinets look amazing and keep everything within easy reach. Display all your pots and pans above your stove to keep them within easy reach and add some visual appeal to your kitchen. 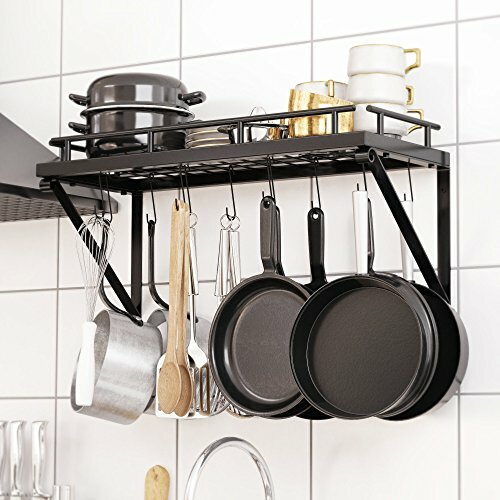 This stylish pot rack organizer will allow you to keep your cookware and utensils organized in a very stylish way. 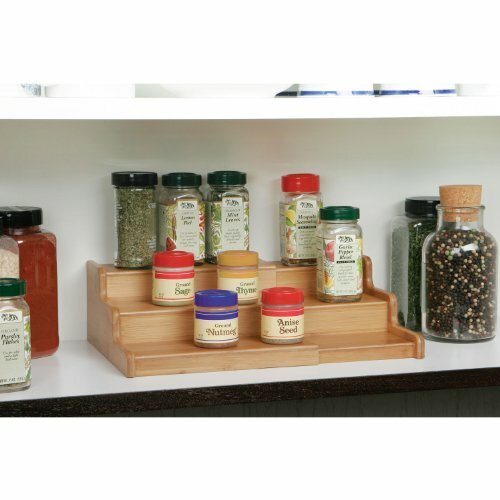 Keep your spices organized inside your cabinet with a lovely bamboo spice shelf . In addition to helping you clearly see all the spices in your cabinet, this stylish shelf as adds some visual appeal to the inside of your kitchen cabinets. Make the most of the space in your kitchen by adding a set of handy sink front trays . 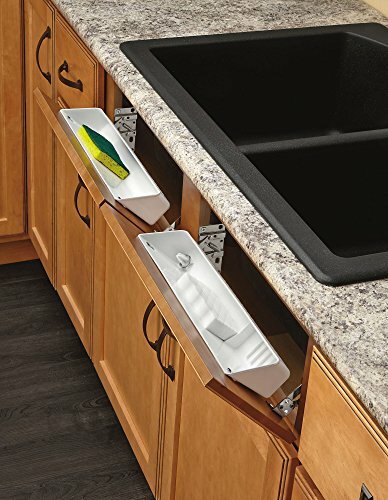 These trays allow you to modify your cabinets to make use of the space directly under your sink for storage. Keep your countertops organized with a beautiful set of ceramic canisters . These lovely airtight canisters will keep your most-used ingredients within easy reach without causing clutter on your countertop. 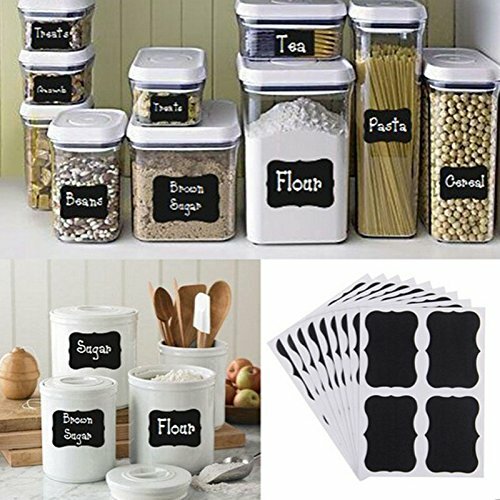 Keep all of your containers organized with a stylish accent by adding some lovely chalkboard labels to your jars and canisters. These ornate labels will add a sense of style to your organization efforts. Do you have any other ideas for an organized kitchen? Please share them in the comments section below! Follow us on PINTEREST for more Home Hacks & Tips!